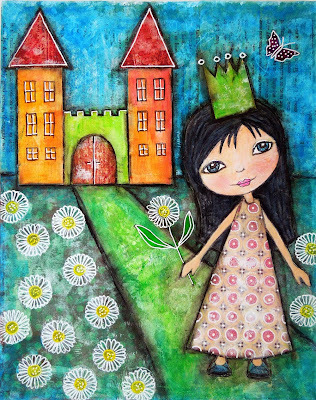 ArtyFartyAnnie: Princess Georgie Gets a Magical Mixed Media Makeover! 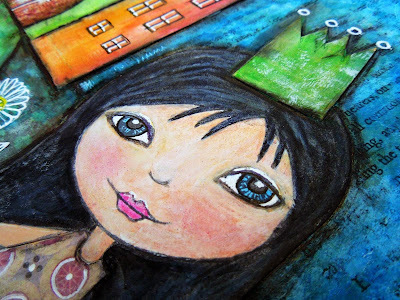 Princess Georgie Gets a Magical Mixed Media Makeover! Back in December when I launched my Georgie Stamp Set I invited readers to enter a draw to win a free set and the first name pulled out of the virtual hat was Zsuzsa from Inky Dinky Doodle. 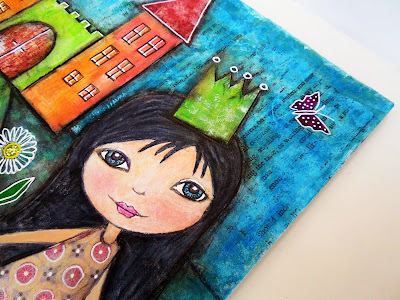 Zsuzsa worked her mixed media magic on Georgie and shared it in this blog post back in December. I was bowled over by this beautiful canvas and couldn't wait to show it off on my blog, but I was away from home at the time, so I shared it on FB and planned to do a blog post all about it when I got home - and I've only just realised I never got around to it (well there has been an awful lot going on just lately one way or another and my brain has been somewhat addled). ... isn't she absolutely lovely? 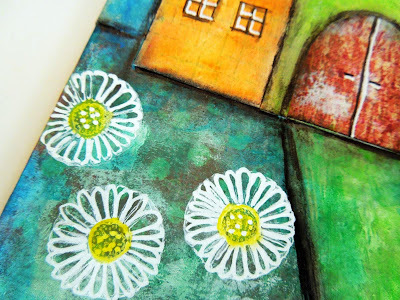 I'm a huge admirer of Zsuzsa's work and it was such a thrill to see what she did with my stamp - check out Zsuzsa's post to read about how she created this canvas. Love the addition of the crown! 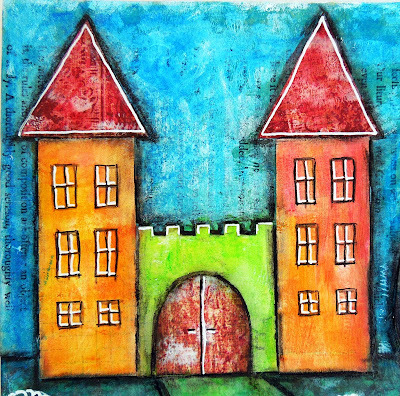 Thanks so much to Zsuzsa for allowing me to share your work - check out her brilliant blog Inky Dinky Doodle for loads of inspiration and ideas. Awww, thanks for sharing this Annie! All the bits in this stamps set are so useful! I'll look you up on Facebook! That is amazing! 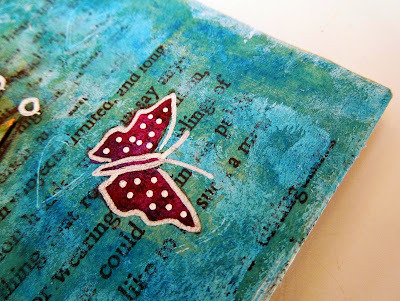 What beautiful work....& it just shows off the wonderful versatility of your stamp!!! Loooove.... So glad you shared...better late than never;):):)!!!! !